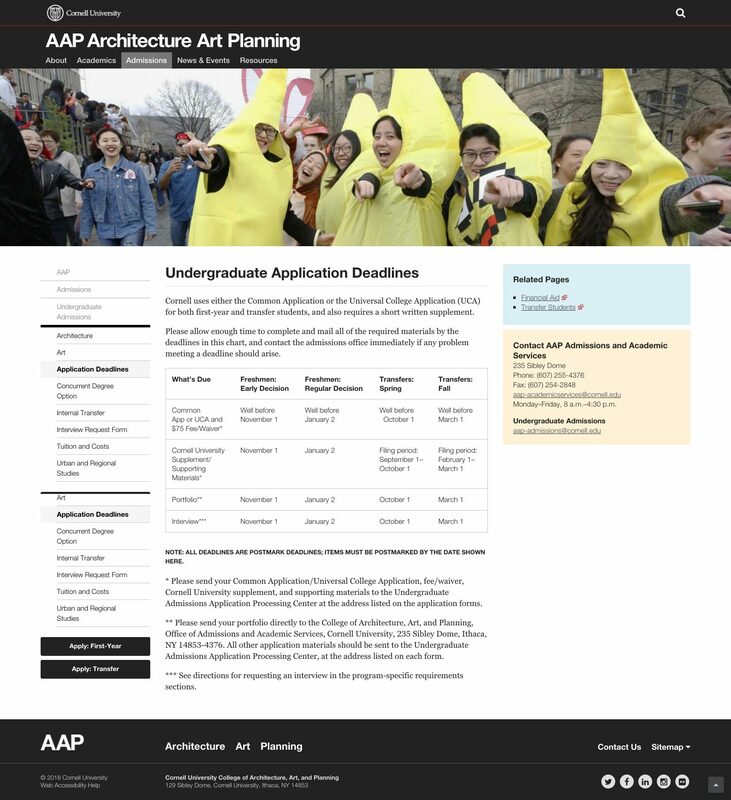 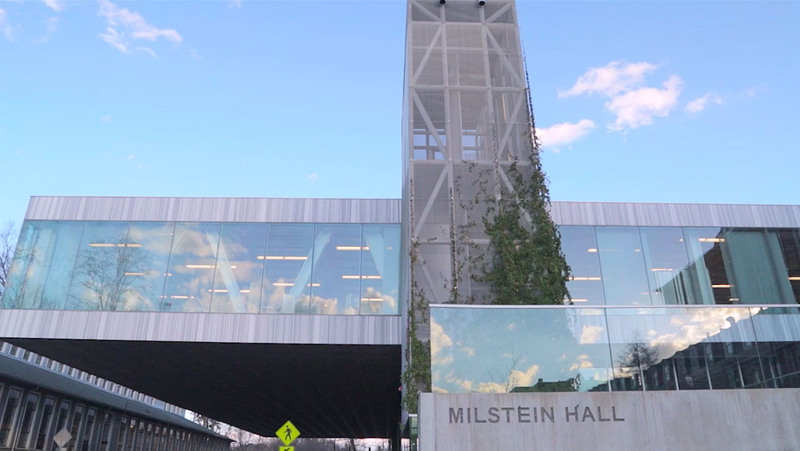 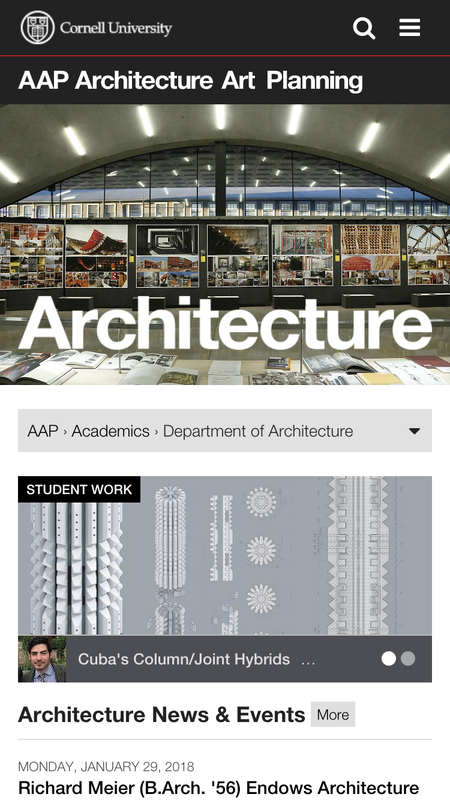 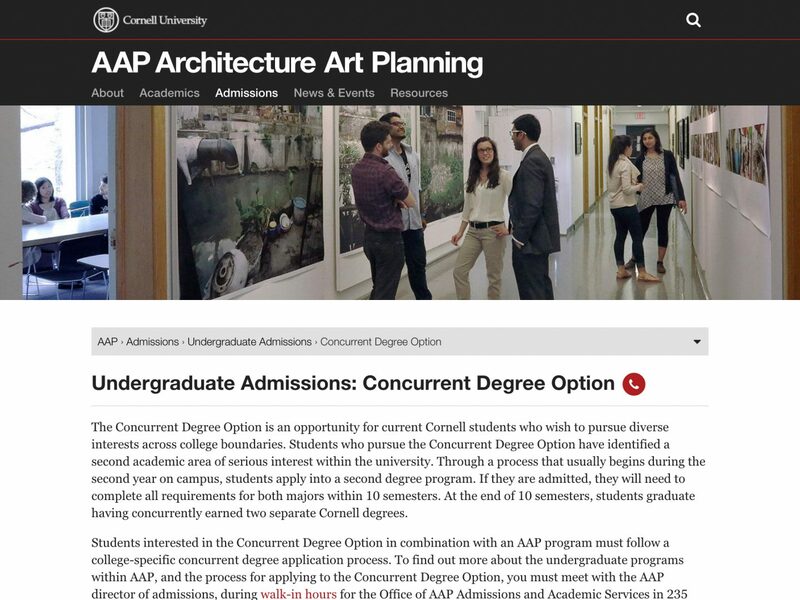 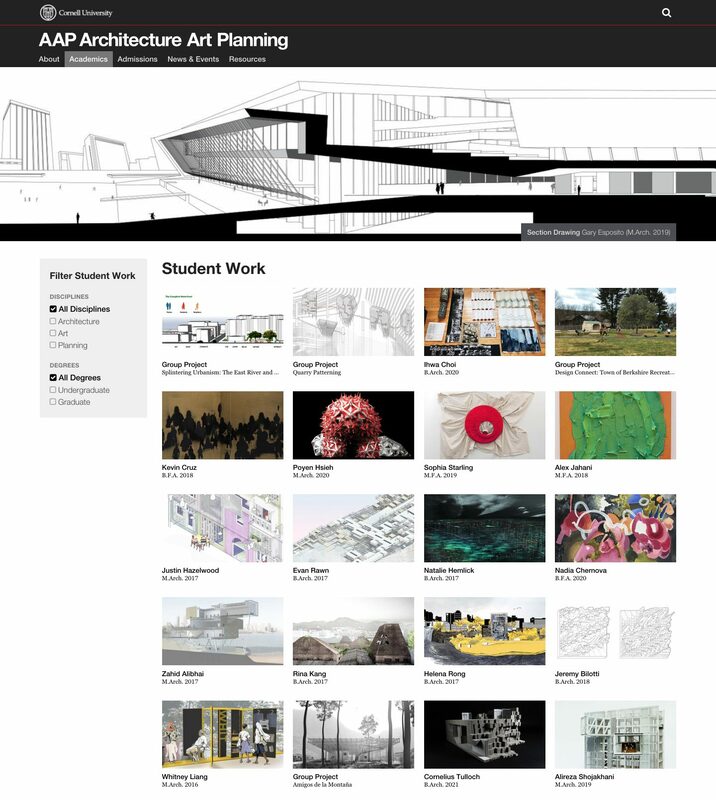 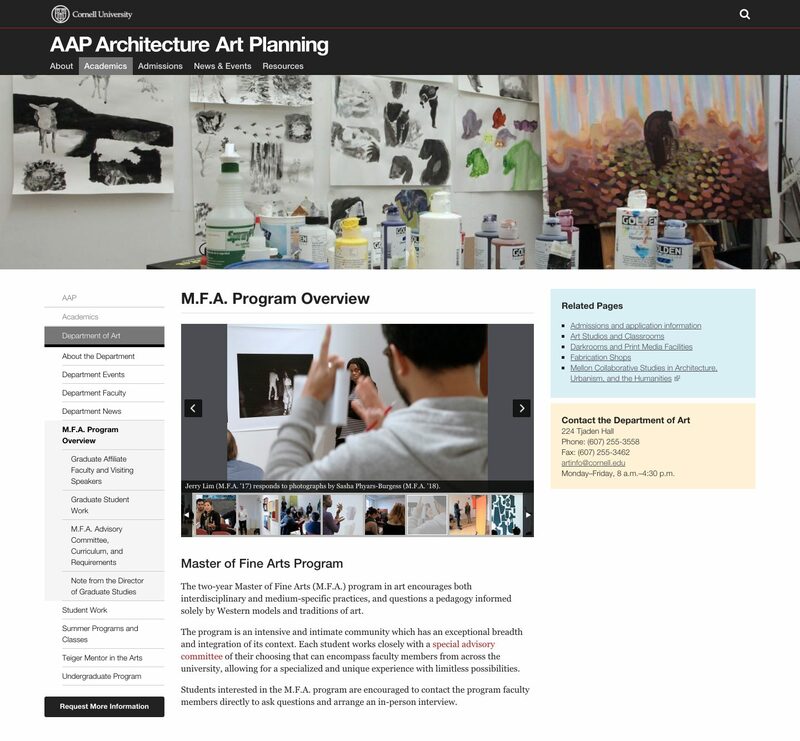 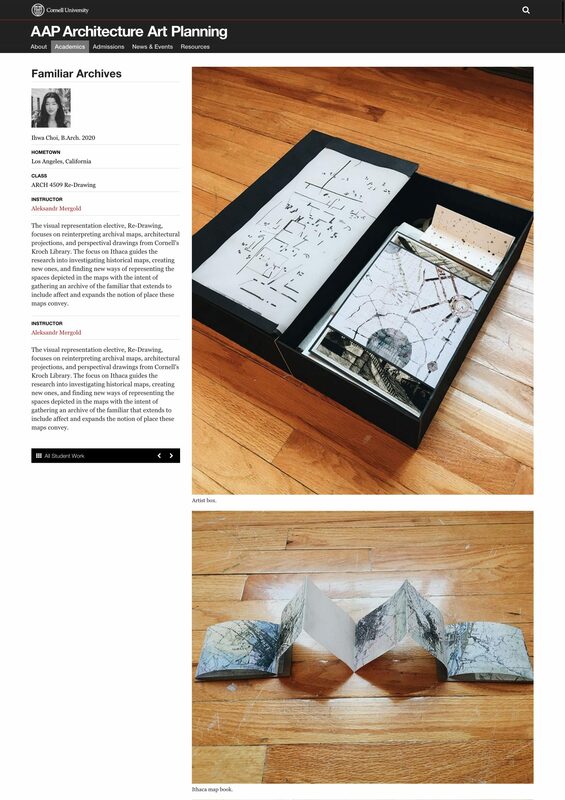 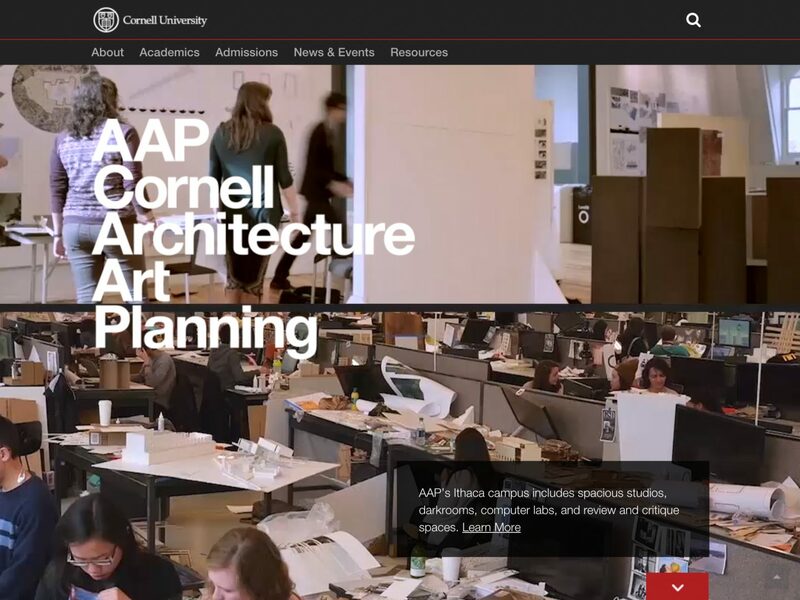 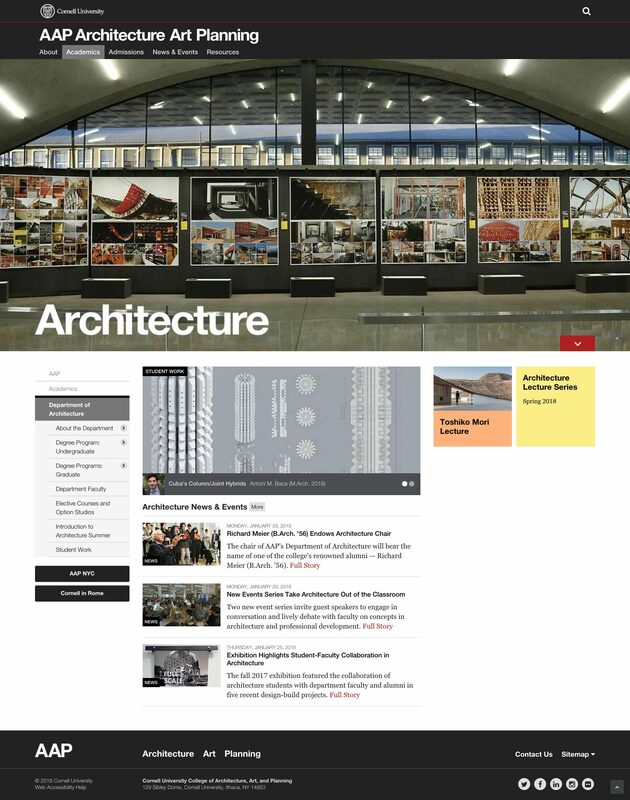 The College of Architecture, Art, and Planning at Cornell University is one of the world’s most highly regarded and prestigious schools of architecture and is the only department in the Ivy League to offer the Bachelor of Architecture degree. 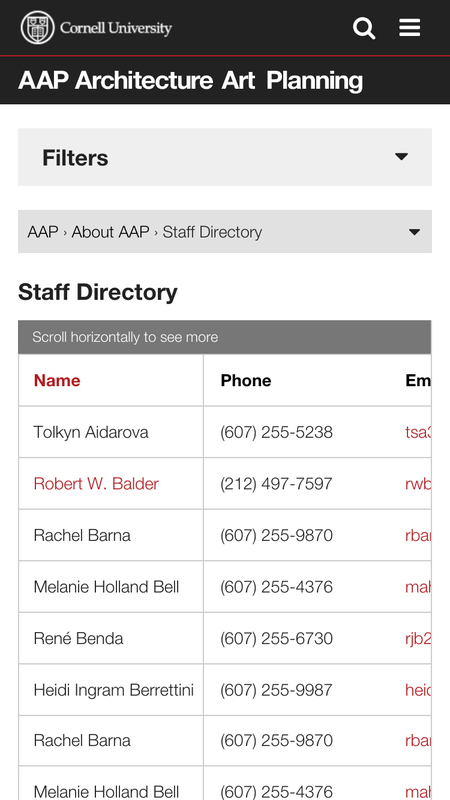 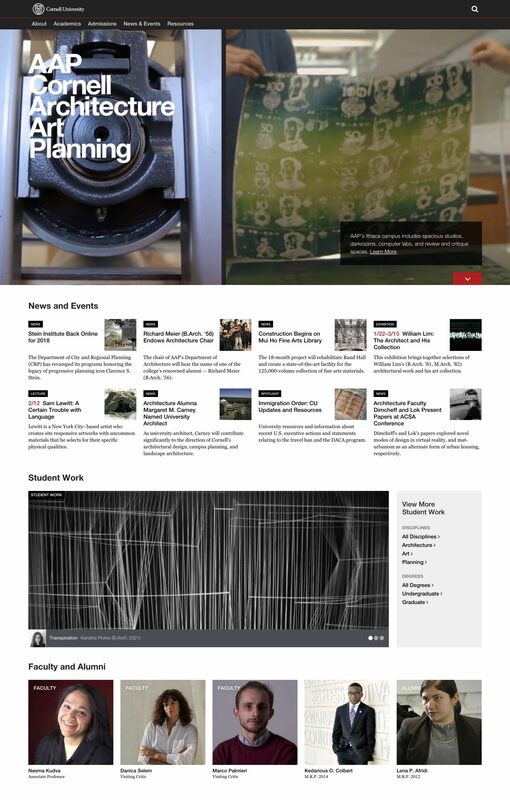 We worked closely with the communications team to plan, wireframe, design, prototype, and develop the website. 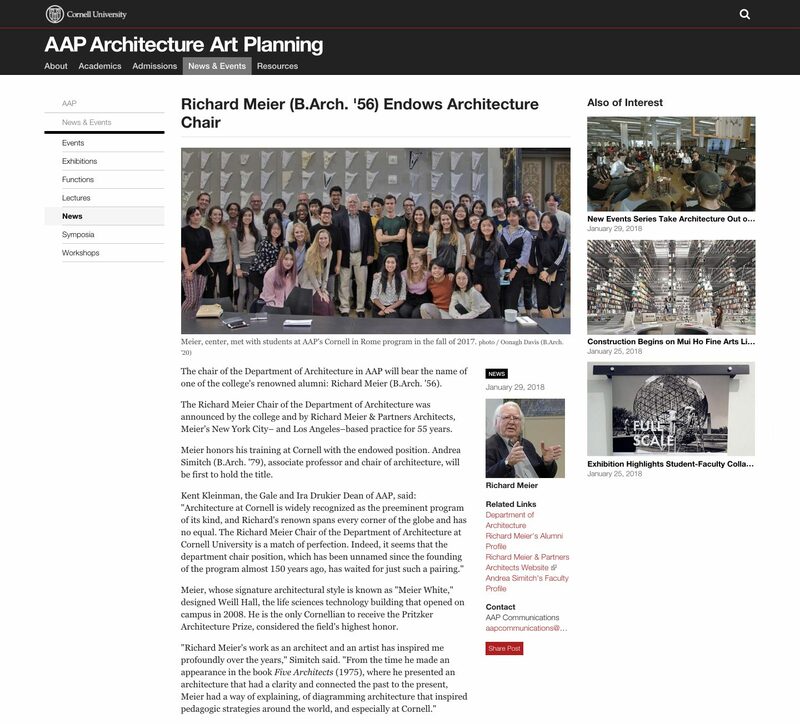 This year-long process resulted in a user-friendly, information-rich, responsive, accessible, and always up-to-date website. 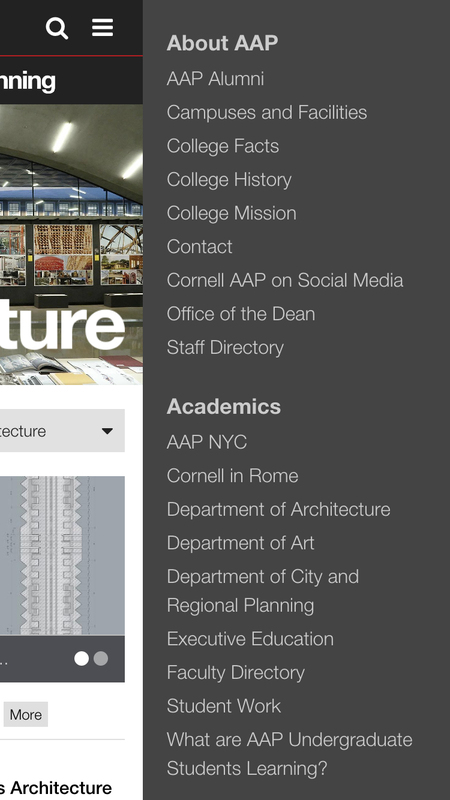 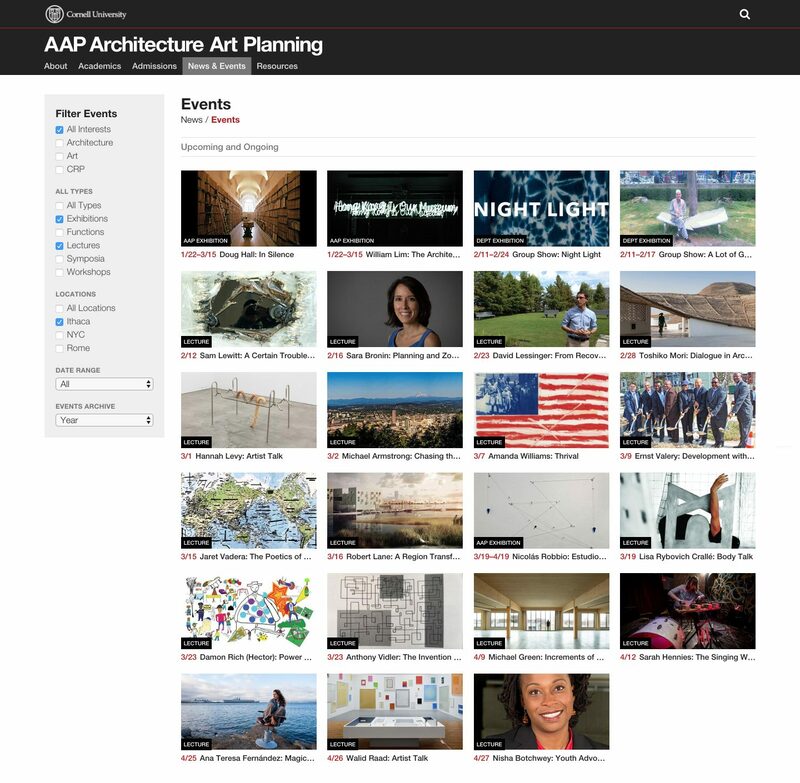 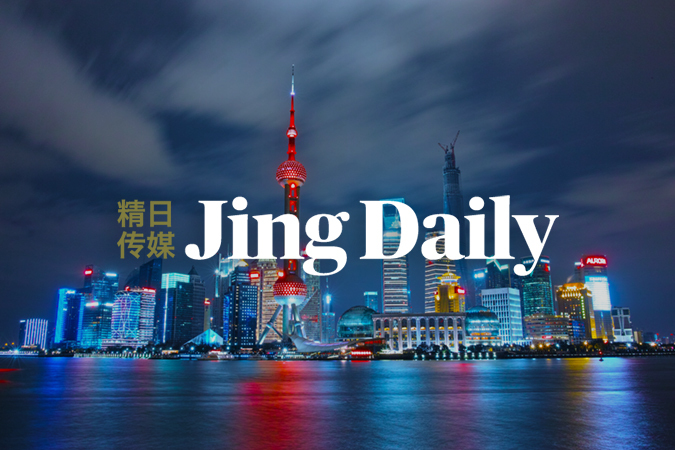 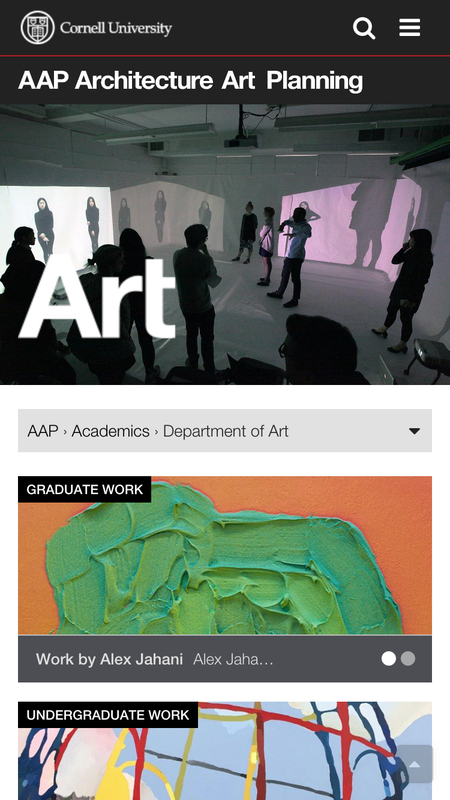 This redesign enables spotlights on campus facilities, student work, faculty profiles, and acclaimed events, while fulfilling ample academic requirements from the university and the three departments.